Take up arms for the survivors of a climate disaster or the ruthless salvagers chasing a crashed shuttle. 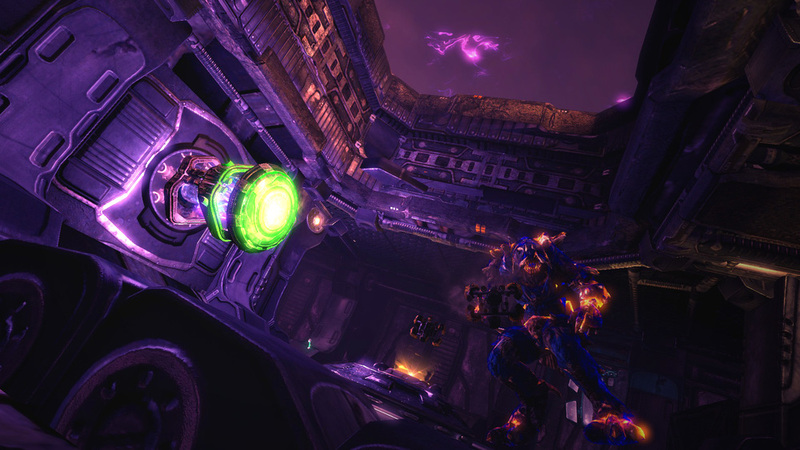 "Dead Drop" is a Capture the Flag map for Unreal Tournament 3 that takes place on a planet frozen by a devastating climate disaster. The survivors of this calamity are pitched against a high tech group of salvagers chasing a crashed shuttle that has an intact gravity core. This core can be activated or deactivated by players to deploy a gravity bubble that allows players to glide through the atrium. The center-piece of "Dead Drop" is a crashed shuttle with a toggleable gravity bubble. It was designed to allow players greater control of the flow of the match by hindering or accelerating the movement of either team and specifically the flag carrier. It was accomplished by creating a oval shaped BSP that encompassed the majority of the maps atrium. This was then converted into a mesh with the gravity field material, a dynamic gravity volume, and a post-processing volume. All three of these entities are tied to the animated and toggleable gravity core located in the center of the crashed shuttle. 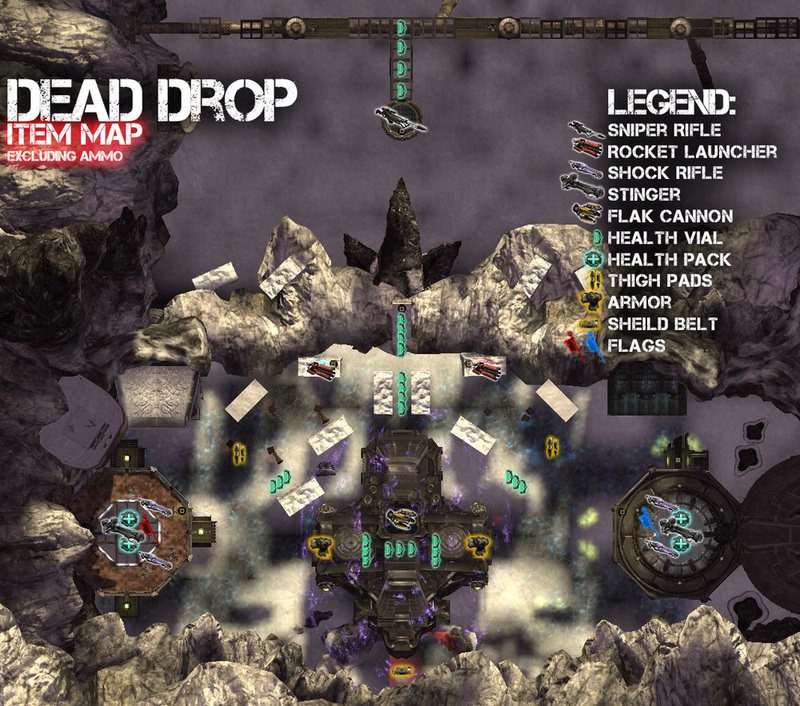 A constant struggle with "Dead Drop" was getting the frame rate with networked play to be balanced with the dynamic visual effects. 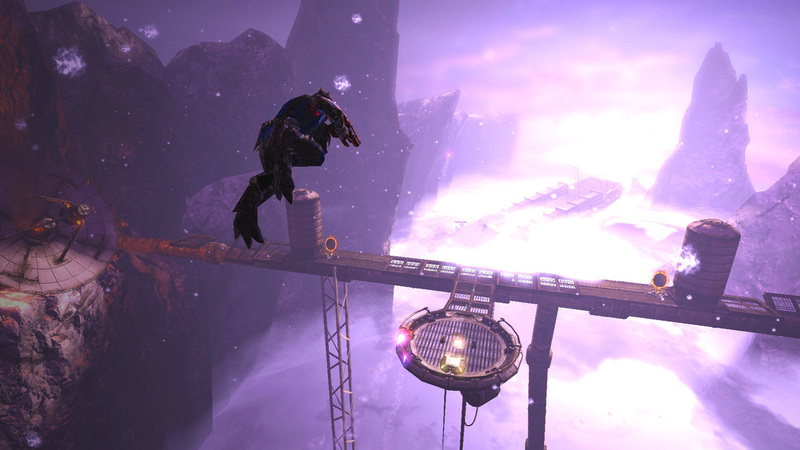 The three main factors to this lag were the toggleable gravity bubble, the numerous snow particles, and the dynamic lights attached to fires on each of the team bases.